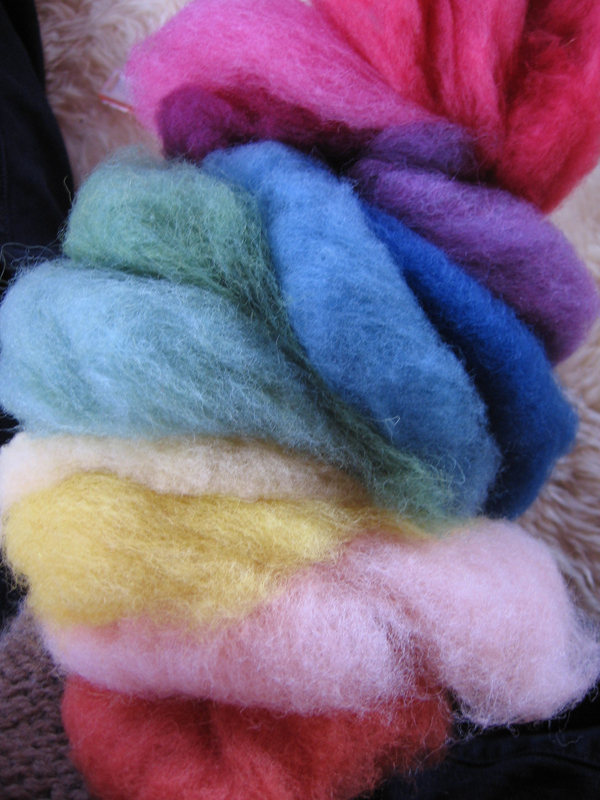 We have a beautiful plant dyed assorted package of wool at the store for needle felting. We order it by mail from Germany, sending a wire transfer, and receiving our box sometime down the line…it is always exciting to receive. 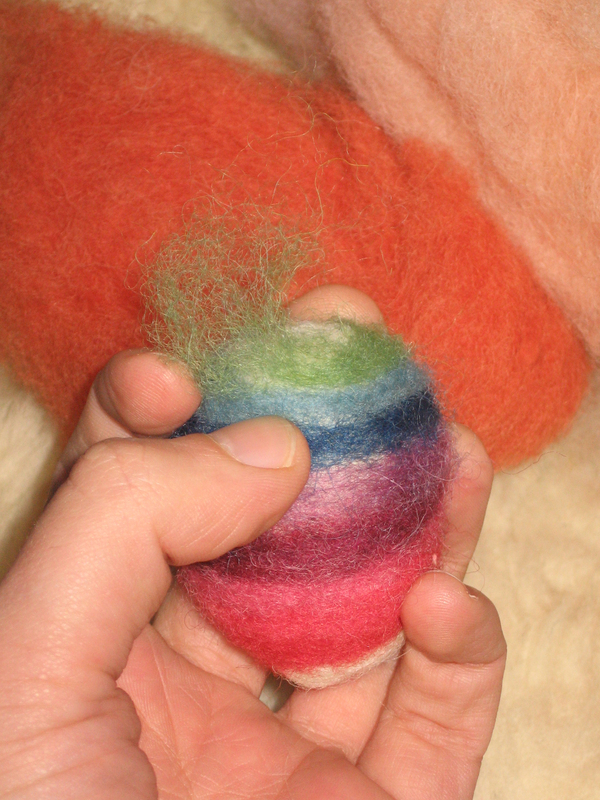 The wool comes tightly stuffed, 13 beautiful colors, into a clear bag. Organic wool. Plant dyes. Rainbow of color. You can’t go wrong. 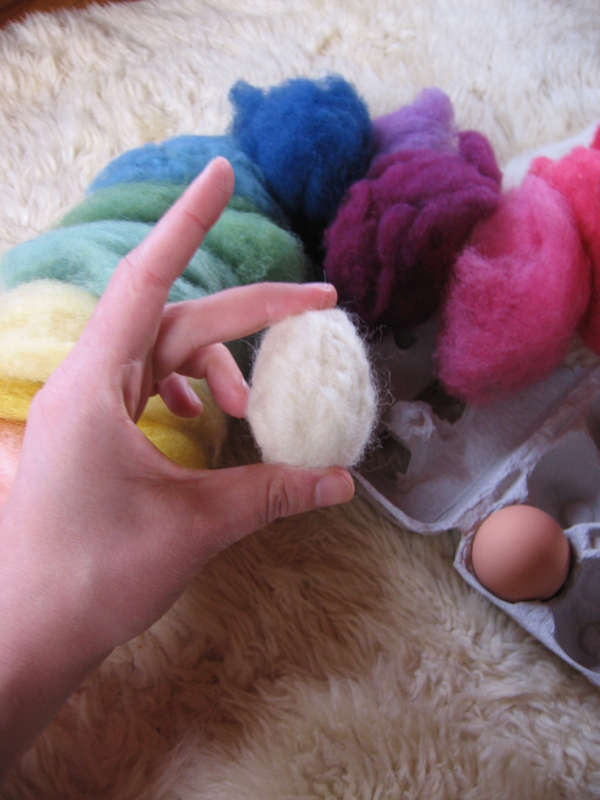 My friends Reni and Joy have been making some really cute Easter eggs with wool, decorating them with colors, patterns, animals and leaving some just brown. I kept wanting to make some, and finally, today, I grabbed a bag of wool, some white wool batting, and a package of needles, and took it home after lunch to experiment. Step one is to make a white egg like shape. I got out an egg from the fridge to make sure that I was coming up with the right shapes. 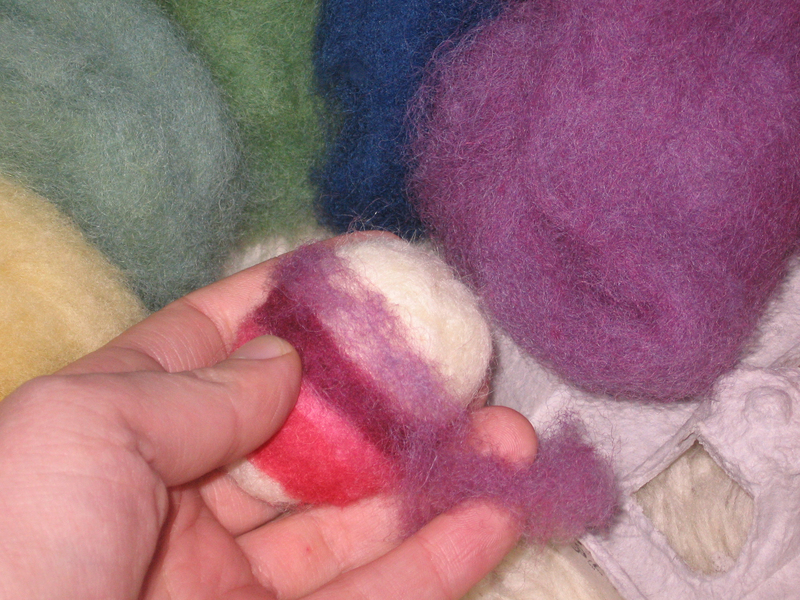 I used little felting needles, which are sharp pieces of metal with little barbs sticking out the sides that catch the wool and pull it together. 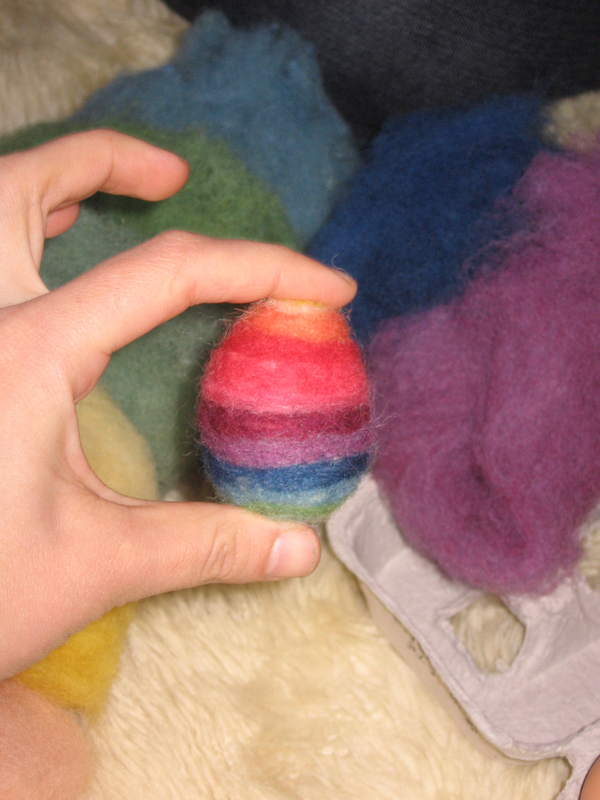 After the initial egg was shaped, I added strips of color, tacking the strips down as I went with the needle. 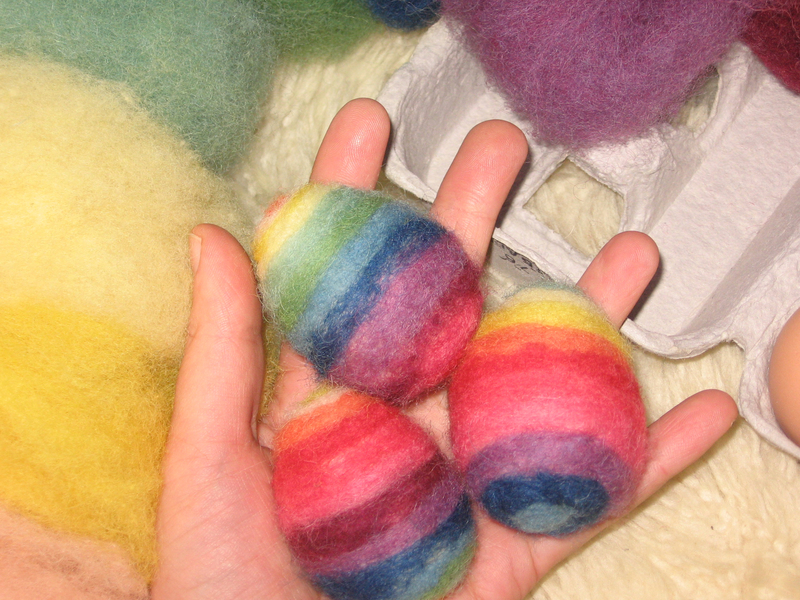 I started in the middle of the eggs, and worked towards both ends, covering the whole thing. these are very lovely indeed.